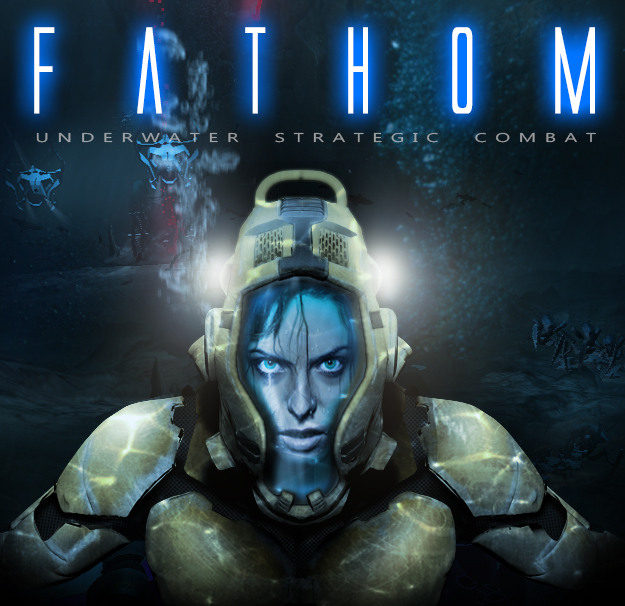 FATHOM is a fast paced action-strategy submarine combat game for the PC, where you’ll need quick reflexes, clever piloting skills, and tactical leadership to survive. Bringing a unique mixture of First-Person-Shooter (FPS) and Real-Time-Strategy (RTS) genres, FATHOM is a multi-player focused game that offers a variety of modes that support competitive (1v1 and team) play, as well as cooperative play. Take control of a Deep Submergence Vehicle (DSV) and prepare for battle. Use beacons to call down structures from the sea surface and layout your base of operations to begin your campaign. Construct warships and command your fleet into the heart of your enemy’s base! Set up blockades of deployable turrets and mines to defend strategic locations from your enemies. Call to the sea surface for depth charge bombardments from above or bring huge capital ships to bear in an all-out epic war beneath the waves! Working on a new map, "The pit" (until I can think of a better name). Devin got the UI switched to the new Unity solution and I've started the graphics for the final HUD. Theres a new loading screen with a map preview and progress bar and a few new sounds and effects. We are going to start experimenting with the Steam API in the next week or so. I think Devin is pretty close to having the code finalized for a demo... just waiting on the slacker art guy after that. The new Oculus Rift stuff is in and working well also. Like our facebook page for a chance to play the alpha with the devs! Let us know what you think about the game so far and ask us some questions! nterviews, paint jobs, and my old friend Oculus. Happy 4th.... This week; an interview, oculus rift integration (again) and more textures. More eye candy, more testing, and perhaps some music? New models and textures, tested the latest build in a few multiplayer maps and tweaked the build order to help with resource choke points. Hello from Fathom! Looking forward to sinking your ships! I plan to make a video of this tomorrow, or whenever I get the chance.